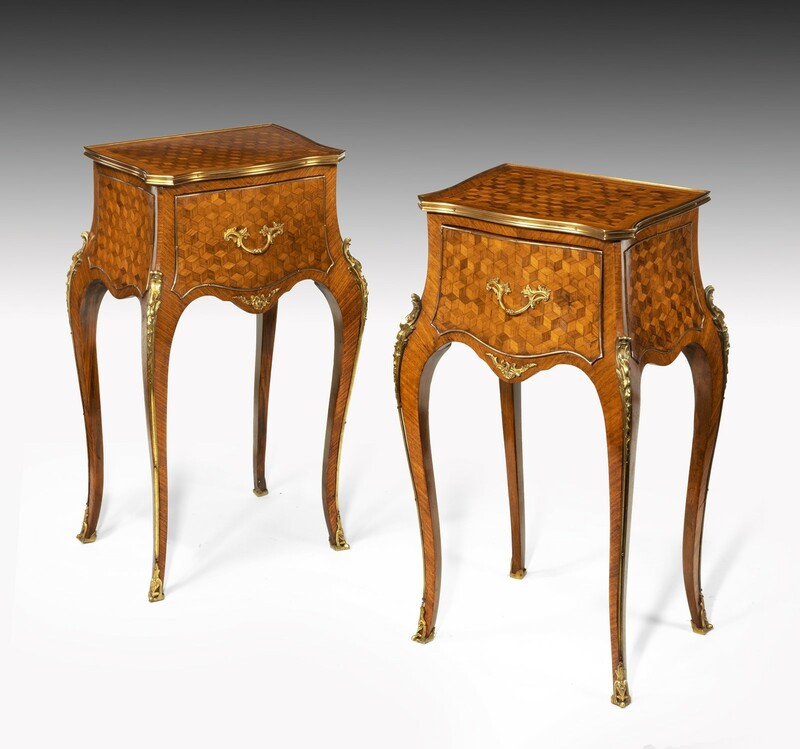 A fine pair of late 19th Century Kingwood cube parquetry serpentine bedside cabinets / side tables / nightstands in the manner of Gillows. 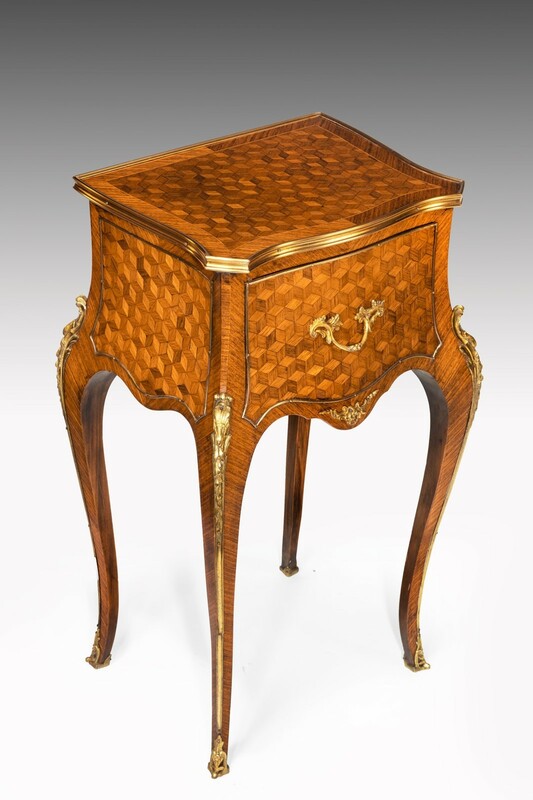 The tables en chiffonier in the Louis XV style having serpentine shaped tops to the front and sides, each with inset kingwood cube parquetry panels enclosed by boxwood stringing and a crossbanded border within a looped strapwork, over a single shaped drawer with central gilt handles and beaded edge. 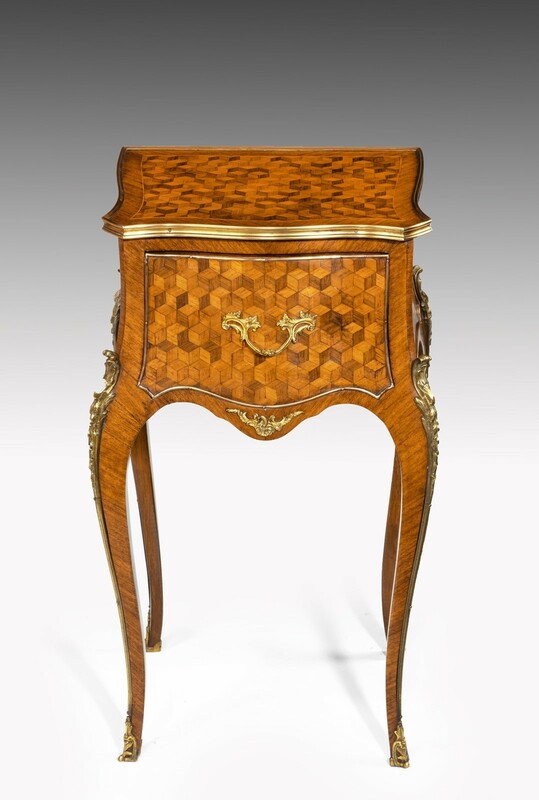 Raised on bold cabriole legs each having ormolu foliate-cast chutes leading down to sabots flanking a shaped apron with a central ormolu mount. 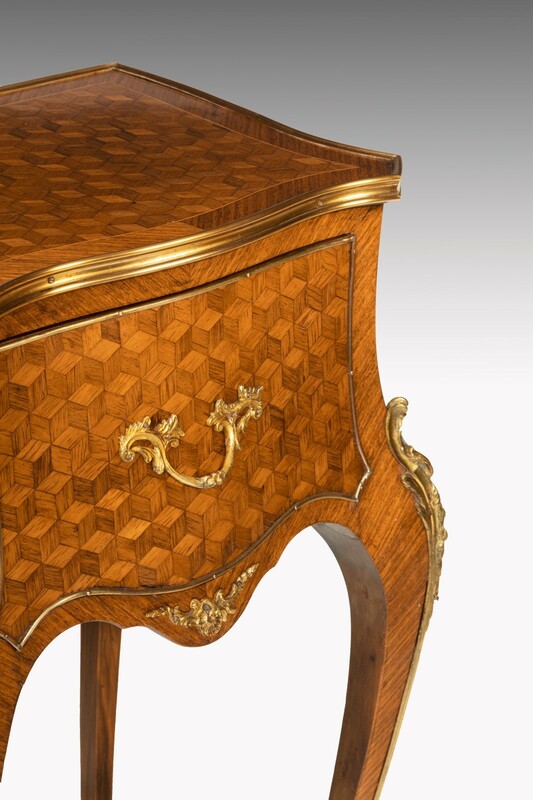 Able to stand freely within the room the pair of tables are finished to both sides and are also veneered and polished to the rear. Of solid mahogany construction this finely made pair of bedside tables strongly relate to another table currently in stock which is stamped Gillows. 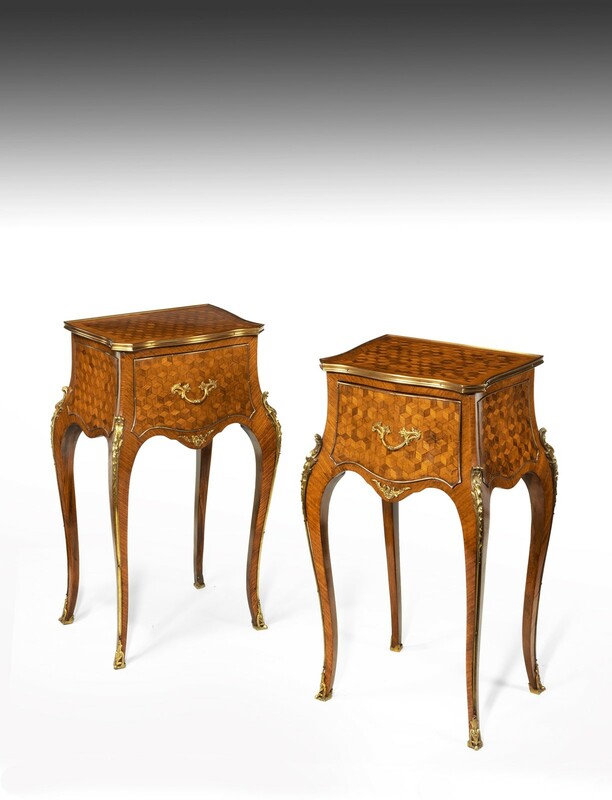 Of excellent natural colour and patina with an elegant shape this pair of bedside cabinets are in superb condition. 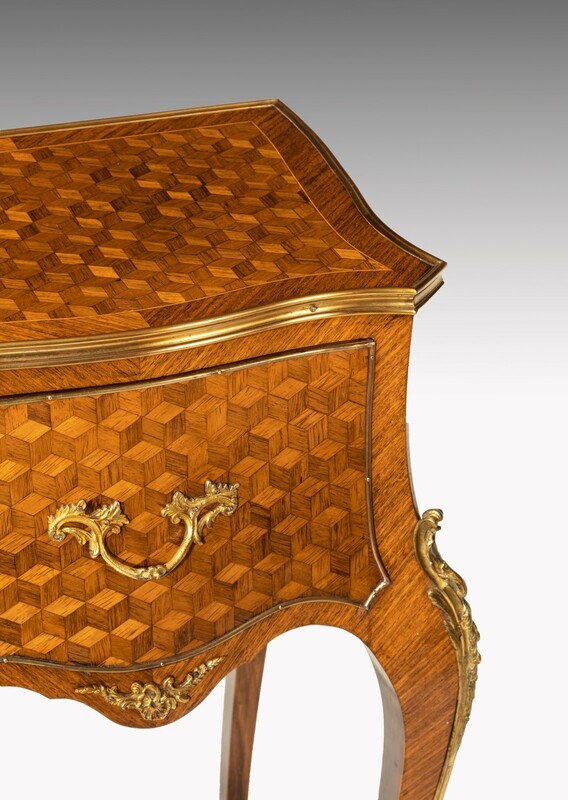 Very versatile as can be used in most rooms of the home, normally as beside tables or lamp tables.